A native of Georgetown, Prince Edward Island, Chef Leslie Flynn likes nothing better than to be cooking with the incredible fresh foods of PEI to prepare an exquisite “PEI farm to table” culinary experience. A graduate of the Culinary Institute of Canada, Leslie thrived under the direction of Executive Chefs Patrick Young at the Dundee Arms and Dana Wood at the acclaimed Inn at Bay Fortune, accumulating a decade of valuable experience in some of the finest dining establishments in Canada’s Food Island. At home, Leslie loves nothing more than cooking the trout he catches himself out of the brooks and rivers in Rustico. At work, that love of fresh, local seafood and produce has made him a leading proponent of the farm to table movement sweeping Atlantic Canada. 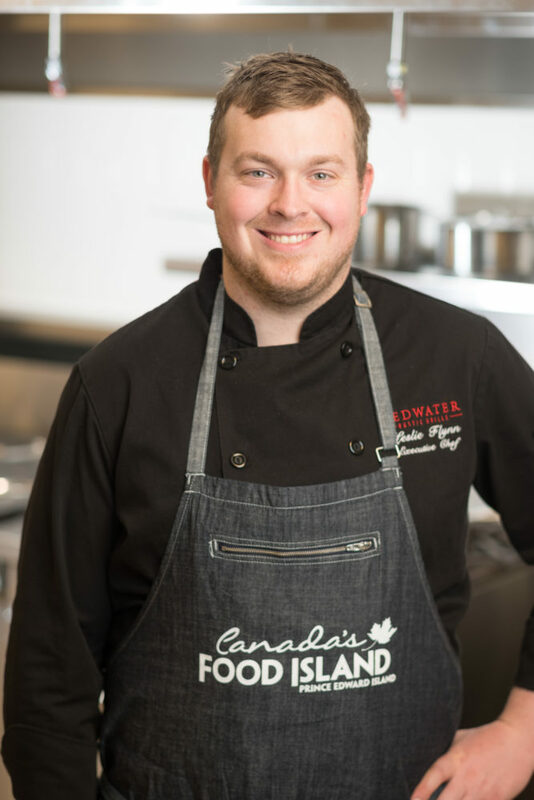 Executive Chef at Redwater Rustic Grill since 2016, Chef Leslie Flynn is eager to showcase his talent in using the best of PEI’s plentiful food selection to captivate customers and delight the palette. “There’s people showing up at your back door with new things to try out, I don’t know if you’d necessarily get that in a larger city”.